Using my lunch break for a little fun shopping is becoming a tradition on Fridays and not that long ago, fun shopping meant clothes shopping. Today however, I was anxious to check out a new store that opened this week – Sprouts Farmer’s Market. When I first moved to this area in 2006, the only close healthy shopping option was Trader Joe’s. I love Trader Joe’s, but that location was old and cramped and always insanely packed. A couple of years later we got a spanking new Whole Foods and it was glorious! I was hooked after a few shopping trips and wondered how I ever shopped at places like WinCo in the past. But it’s not the cheapest place to shop at. So I’m happy that we have yet another healthy shopping alternative that seems to be a larger version of Trader Joe’s with more selection. 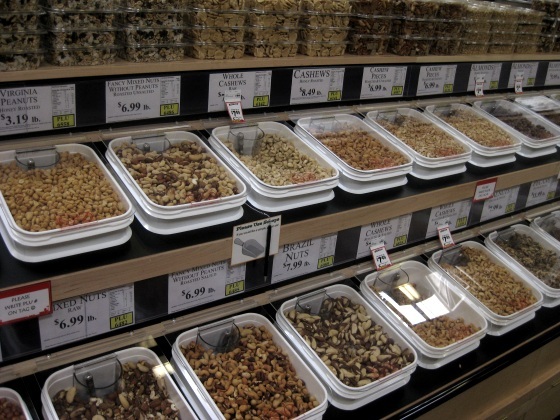 Like Whole Foods, Sprouts has a huge bulk foods section for buying by the pound. I love shopping in these sections for cheaper prices and less packaging waste, I usually buy nuts, dried beans, popcorn, seeds and flours from them. But the open bin style here freaked my germaphobe side out a bit. 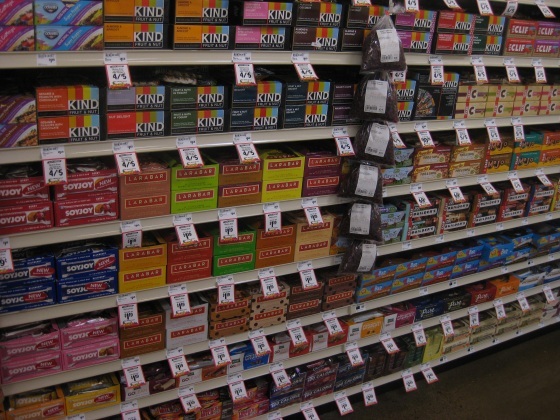 They also had probably the largest selection of snack bars I’ve seen – that looks like every flavor of Larabars and Kind bars! 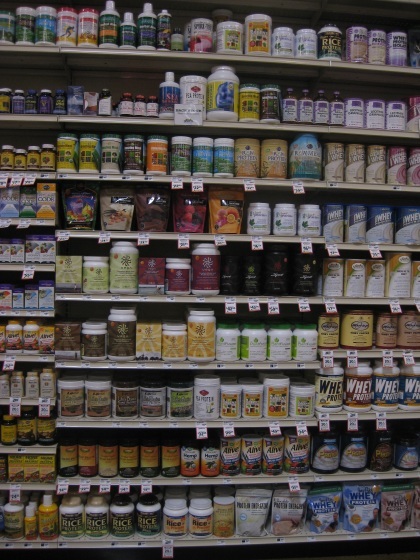 The large selection of vegan protein powders really impressed me, they even have all the Vega products at prices close to Amazon. I was planning to just check the store out and not buy anything yet … yeah, right! 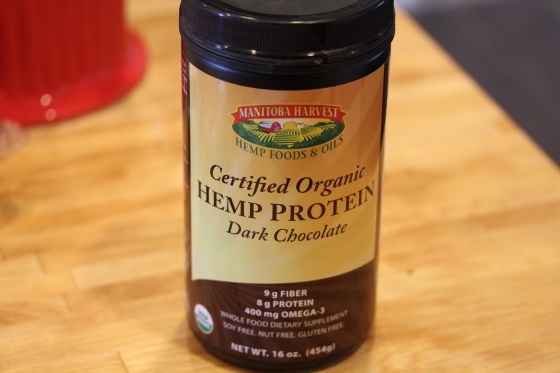 I grabbed a new protein powder to try in my smoothies, Manitoba Harvest Dark Chocolate Hemp Protein Powder. 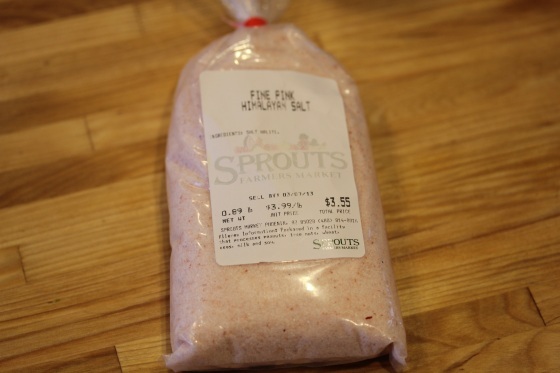 Also picked up some more Himalayan pink salt for a great price – a jar half this size from Whole Foods costs double. 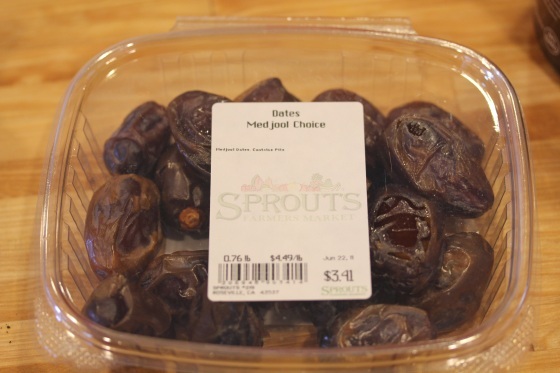 More medjool dates, not sure if the quality is as good as the super pricey ones from Whole Foods – we’ll see. 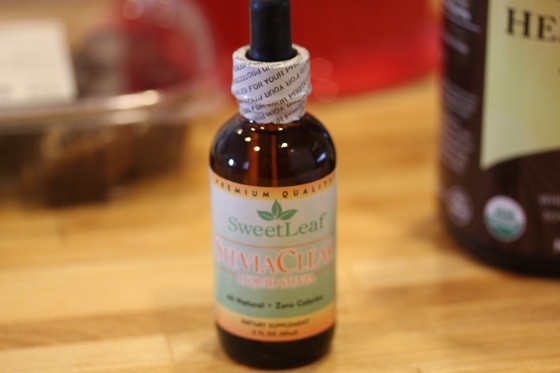 I also grabbed SweetLeaf Stevia to try. And I got a shipment from Amazon to do a little pantry restocking, more Navitas Naturals Cacao Powders for raw desserts and smoothies. I also ordered Vitamineral Green, which was a splurge purchase. I’ve been thinking of trying it ever since I heard Cherie Soria speak so highly of it at the Raw Health Expo last July. It took me this long to finally buy it, but the smoothie shelf in my pantry is packed with many options now! 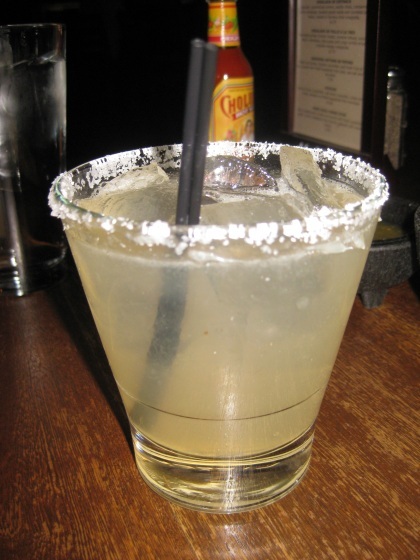 Their amazing margaritas just sounded like a perfect way to end the week. 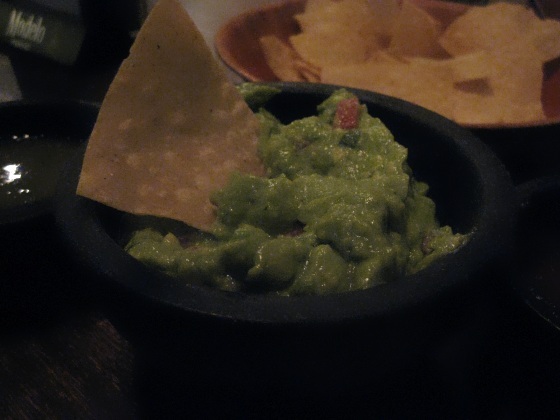 And guacamole, lots of it. They were happy to veganize the vegetarian enchiladas by holding the cheese and they were wonderful! It’s been a long time since I’ve had enchiladas, but they were something I used to make regularly in my non-vegan days. I just haven’t thought to try a homemade vegan version yet. 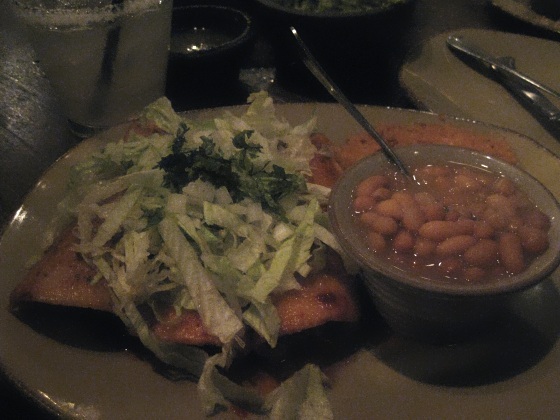 The tortillas were wrapped around veggies sauteed in a tomato-based enchilada sauce, they had plenty of spice and flavor without cheese or meat. Aw, perfect way to kick off the weekend. So my new recipe will just have to wait until tomorrow. Have you ever tried Vitamineral Green? Nothing makes me happier than a well stocked pantry! :) I need to get some chocolate hemp protein — just saw that in a smoothie recipe on No Meat Athlete, I think. Yep, I have Vitamineral Green –right next to the Spirulina that I don’t use very often ;) I need to be better about using that stuff. I’m a huge fan of Sun Warrior protein, but it’s pricey and I like to mix up the protein powders in my smoothies for dietary variety. Bulk hemp protein powder is so cheap on Amazon, but not super in the flavor department, so I’ll be interested to see how this compares to the plain hemp powder. Yes love love love Vitamineral Green we used it personally and for business. It truly is great stuff!!! Excellent, can’t wait to try it. Do you use it daily? Yes we aim to have it daily, some days we forget but usually have around 1/2 to 1 tbsp a day. Love the trip to Sprouts and the pics! We have Sprouts here, not tons of them, but some. I just dont make it in them. I seriously live 2 blocks from ralphs & Tj’s and 6 blks from WFs (not that i go in there for much of anything as i always post about…in and out for vegenaise only…lol) but good to know sprouts is SO reasonable. Sprouts, WF and TJ’s are all about the same distance from me, so I like to mix it up on which one I go to. 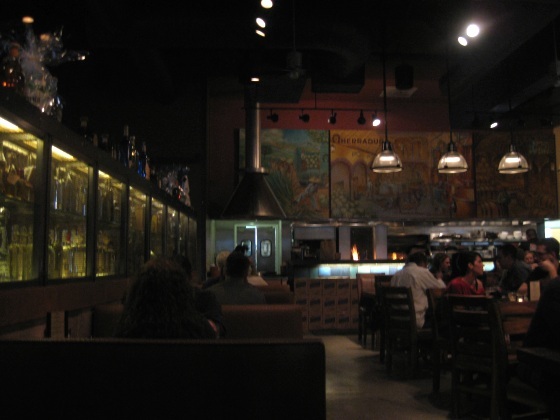 So far I’m impressed with Sprouts and will try a huge shopping trip there next week probably. Sprouts also has Vegenaise, don’t remember if it was cheaper than WF, but they seem to have a good selection on vegan products. 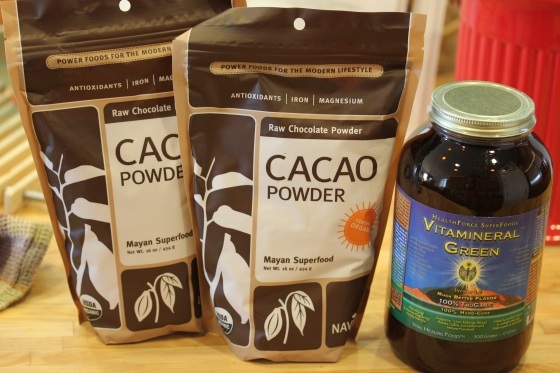 how much of the cacoa powder do you put in your smoothies? i have that exact bag but am afraid it might be too strong. most of the time my smoothies have frozen fruit, protein powder, spinach and almond breeze. I use about 2 tbsp. in smoothies with a little stevia. Mixed with the sweetness of fruit, it’s not bitter at all. I put it in my smoothies about 2-3 times a week, sometimes I’ll add vanilla or ginger to flavor it instead. 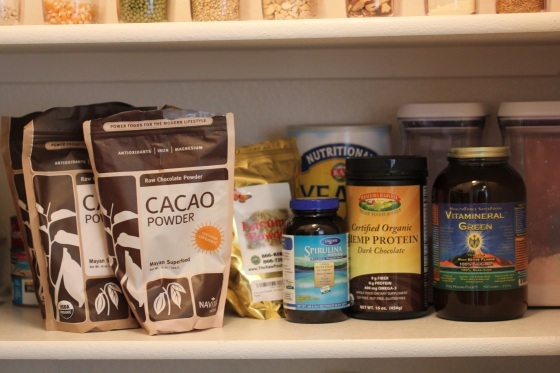 I also go through a lot of cacao powder making chocolate hemp milk and desserts. oh wow, sprouts looks awesome! 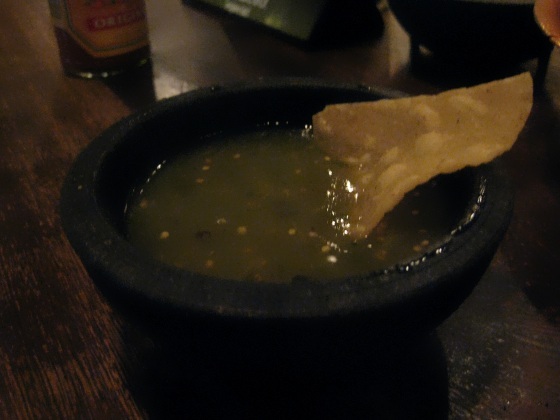 i’m so excited to find your blog – i am always interested in trying new foods and ways to eat them. i can already tell i’ll find great inspiration here!